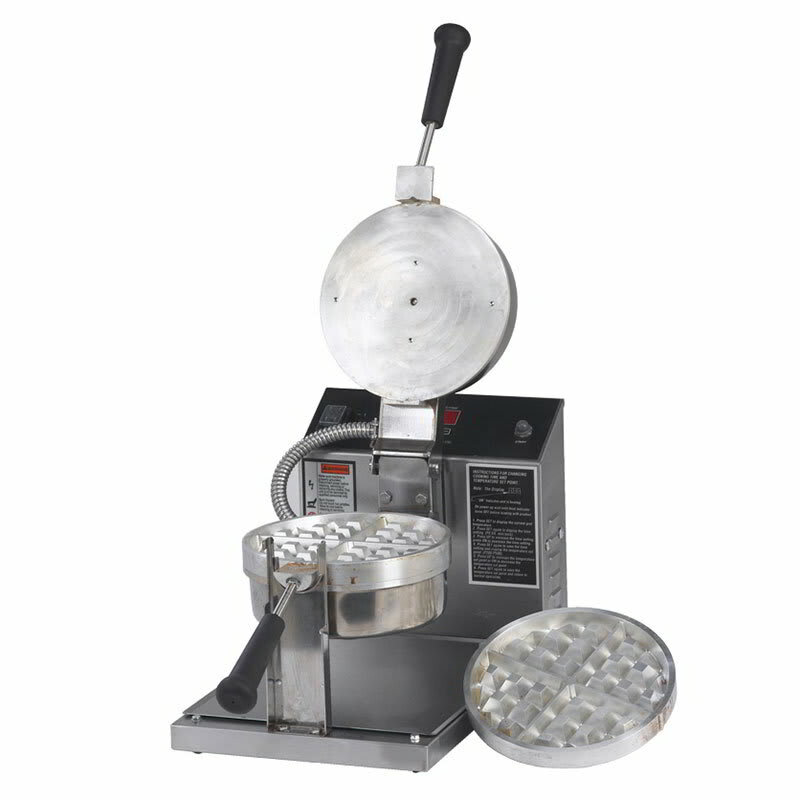 The Gold Medal 5042E Belgian waffle maker employs a roll-over feathre to ensure batter is uniformly baked. Electronic controls make this unit simple to use. 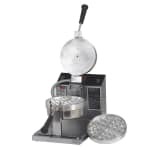 It withstands high-volume use since it is made of stainless steel. The grids are 7.25 inches diameter and removable for cleaning. You can find more information on these units in the waffle makers resource. "Required constant servicing and only lasted ~3 months prior to breaking down and needing to be replaced."